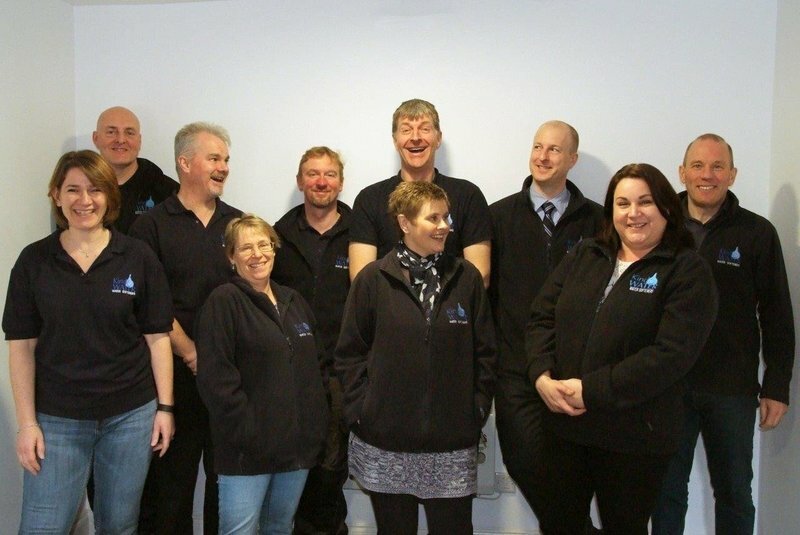 KindWater’s experienced team is led by a former industry association Chairman and we have successfully installed thousands of water softeners. We are large enough to be professional, small enough to take a personal care. Which is why our customer satisfaction surveys consistently show 60% delighted, 36% pleased, 4% satisfied and 0% unhappy. It's years since we last had a water softener and that didn't end well and we have tried various solutions since but the hard water has persisted. Then a friend showed us their KindWater softener so we followed it up with a visit from the company, did some research and decided to go for it. The company was a pleasure to deal with and the installation really easy and since then we have enjoyed - for the first time in many years - lovely soft water. The salt blocks are a doddle to use - so different to the messy and heavy bags of salt tablets we used in the past, which rusted our kitchen cupboard fittings. 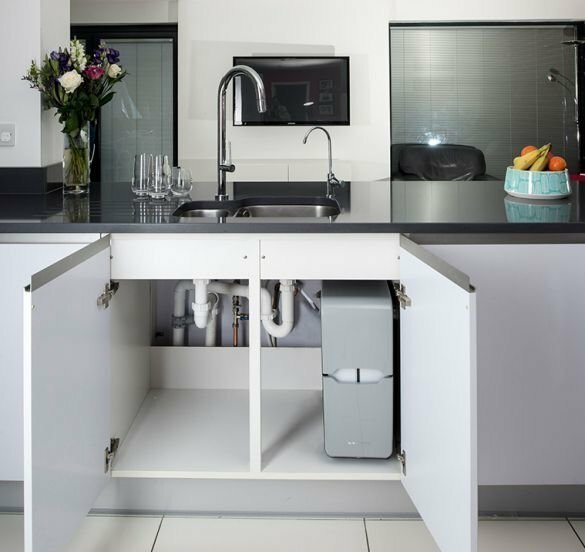 The water softener doesn't take up much space under the sink, is quiet in operation and the salt blocks last quite a while and are easy to reorder. So we're really glad we got a KindWater water softener. Our old water softener was leaking badly so decided to get a new one - it was beyond repair. From the first contact they were very polite, efficient and professional. The work was done very quickly and when they came to look at the job switched the water off to the old sodtener to save further flooding. The engineer came when expected and quicker than other businesses we had contacted. 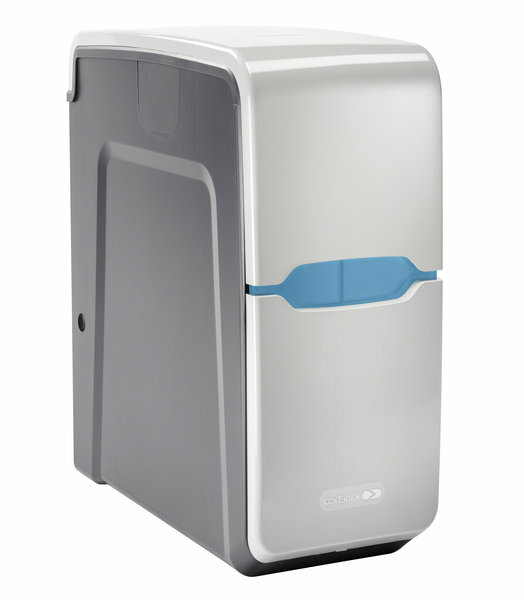 The engineer was very polite and explained how the water softener worked and how to use it. We were also given details of their free delivery service of replacement salt. They took away our old softener and replaced the salt tablets with the new blocks of salt. The price that was given was adhered to - so no unexpected extras. I would thoroughly recommend this company and engineer for their no nonsense, polite and efficient service from first contact to after completion of the work. From the initial site visit through to installation, everything has been handled in a very efficient manner with no fuss. The product itself is excellent, and other than needing to keep an eye on salt levels, you tend to forget it’s there. It’s not cheap, but good quality kit rarely is. I would not hesitate to recommend KindWater. The work we had done was to install a soft water, and was carried out very neat and tidy. The engineer was very helpful in letting us know how it all worked. I would fully guarantee in telling other people how pleased we are with it, which I have done. We are a large household (4A3C) and had gone through two water softeners which were not really man enough for the job. Studying reviews the Kinetico looked promising so I contacted them and they referred me to Kind Water. The engineer called and after some discussion we opted for a Kinetico Premier Maxi. Advantages were capacity (twin tank), no electrics required and 10 year guarantee. I was quite comfortable with the call and didn't feel any high pressure being applied. There was also the benefit of a discount and 10 month 0% finance offer. The softener was installed successfully within days and, albeit expensive compared with some other models, to date we are extremely happy with our choice of machine and company. I would happily recommend Kind Water and Kinetico if you're in the market for their products. Great personal service on moving in to our new house and a check up afterwards. Visited their lively offices to buy salt blocks. Water taste good! Kettle stays clean! Old water softener (in attic) began overflowing into loft. Rang this company after consulting which trusted traders. Technician visited same afternoon (Tuesday). All options thoroughly explained by a guy (Andrew) who knew his subject backwards. Professional, sense of humour and 'can do' - right up my street. New water softener fitted 3 days later after solving a couple of unexpected problems along the way. All cheerfully explained beforehand. I was really impressed. Downside - fairly expensive, but for once I did not mind in the slightest. Recommended without hesitation. 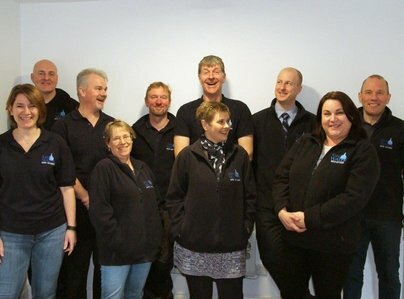 The Kind Water team have been fantastic throughout this process. First they visited our house and explained the product and did a really thorough job of exploring the different installation options we had. This entire process was free. There was then a gap of 3 months until we decided to go ahead, and they were happy to honour the price. The installation process itself was completed in a day, which included installing a water softener outside in a weather protected case, and installing a water filtration system in the house. The quality of the workmanship is faultless, and again the thoroughness that the staff went through to ensure everything was exactly how we wanted it was exceptional. In terms of the product itself we could not be happier. We were at the highest end of hard water, with just over 400 calcium carbonate parts per million, which is unusually high. Over 400 tips the scales when the department of health do not recommend drinking water that has been through a softener requiring that much of a calcium reduction. This led to our decision for the filtration system as well. All of this was in consultation with the Kind Water staff who were objective, friendly and helpful. At no stage did we feel under any pressure, and the overwhelming impression was of a company and team who know their product and market extremely well. Now we have softened water for washing and appliances, and filtered water for drinking and using in kettles and coffee. Fantastic! My first water softener, amazing product and service. All my questions were patiently answered. Everything was explained to me; I have nothing negative to say. The Engineer Andrew was very helpful.